TOKOROZAWA, SAITAMA PREF. 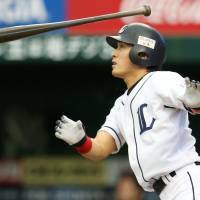 - The Seibu Lions were pining for a little payback after being embarrassed in Game 1 of the Pacific League Climax Series First Stage. Now the Chiba Lotte Marines know how it feels. 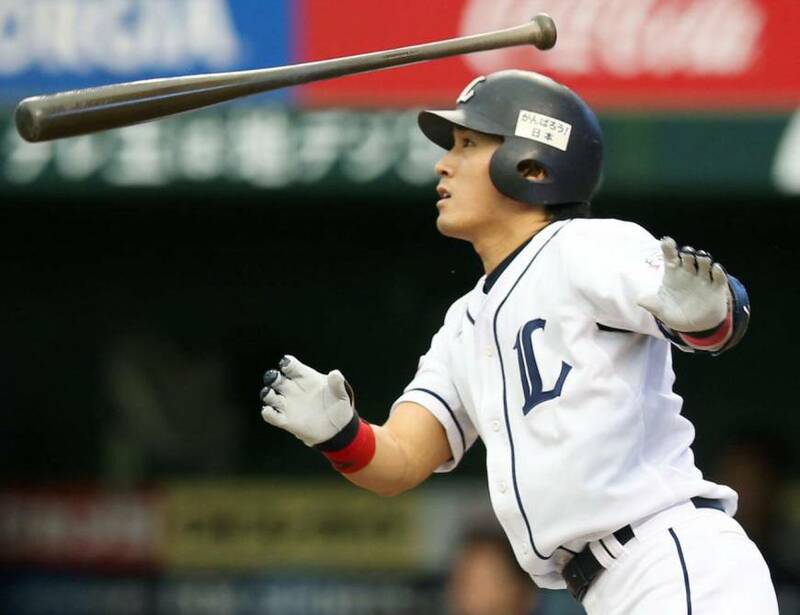 The Lions put runs on the board in each of the first five innings, three coming on Takumi Kuriyama’s home run in the fourth, and mauled the Marines 15-0 to even their first-stage series at 1-1 on Sunday afternoon at Seibu Dome. On Friday night, Seibu manager Hisanobu Watanabe said the Lions would be looking to avenge the 11-1 thumping they took in Game 1, and his squad looked like men on a mission from the outset of Game 2. The Lions’ 15 runs are the most in a Climax Series game since the current format began in the Pa League in 2004 (the Central League adopted the series in 2007). The previous record of 11 was set by the Fukuoka Softbank Hawks in 2006 and matched by the Yomiuri Giants in 2008 and the Tohoku Rakuten Golden Eagles in 2009. Seibu also set new records with 20 hits and a 15-run margin of victory. Almost lost in the fireworks was the six-hit shutout tossed by Seibu starter Yosuke Okamoto, who struck out five. The result sets up a decisive Game 3 on Monday, with the winner advancing to the final stage against the PL champion Eagles. Kazuhisa Makita will get the start for the Lions, and Yuki Karakawa is scheduled to be on the hill for the Marines. “We’re the third-place team, so we just have to have fun and play aggressively,” Karakawa said prior to Saturday’s game. Basically, exactly what the Marines failed to do in Game 2. All nine Seibu starters (and pinch hitters Naoto Watanabe and Masato Kumashiro) had at least one hit, with six producing multihit games. Hideto Asamura was 4-for-5 with a pair of RBIs; Yasuyuki Kataoka finished 3-for-3 with a home run and three RBIs; Esteban German, Ginjiro Sumitani and Yuji Onizaki each had two hits apiece; while Kuriyama finished 2-for-3 with a homer and five RBIs. “They (Lotte) did that to us yesterday, but today our Nos. 3 and 4 hitters (Kuriyama and Asamura) did their jobs and got us going,” Watanabe said. The first person the Lions sunk their teeth into was Marines starter Takahiro Matsunaga, who took the loss after giving up five runs in two-plus innings. His replacement, Takahiro Fujioka, didn’t fare any better. Fujioka allowed eight runs and managed to throw 89 pitches in just 2⅔ innings. Reliever Yasutaka Hattori was also tagged for a pair of runs. Lotte must now find a way to shake off the lopsided defeat with the season on the line on Monday. The Lions don’t want to let the memory of the big win linger for too long either.